I lost my wallet on Monday. Maybe it fell out the window when I hit the guardrail. 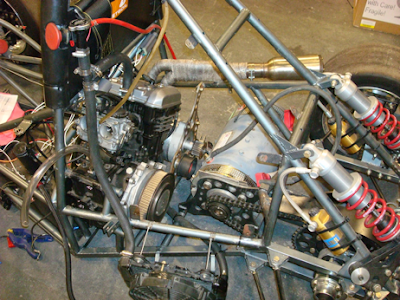 But, here is a photo of my engine and generator mounted in the Hybrid frame!